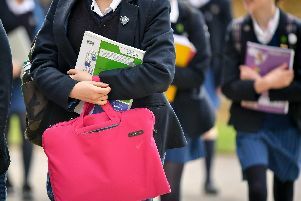 Lancashire County Council has confirmed that 90% of primary school starters are getting a place at one of their preferred schools this September. Figures for primary school admissions show that 90% will get their first preference and 8% will go to schools which were their second or third preference. Only 2% of children have been allocated places at other schools. The number of children receiving preferred places is likely to rise, as places are allocated from the lists of those children who are waiting for a place, as appeals are heard and adjustments are made. Careful planning and management of the required number of school places means that the vast majority of four-year-olds will be lining up in the playground at one of their preferred schools. Edwina Grant OBE, Lancashire County Council's executive director for education and children's services, said: "This is an exciting but anxious time of year for parents, as they find out where their child will be starting school. "Careful planning means that 98% of pupils have been allocated a place at one of the schools they preferred, with the majority getting a place at the school they wanted the most. Importantly, once again we've been able to offer every child in Lancashire a school place. "School places are allocated fairly and objectively and every application is agreed upon using the criteria which have been agreed for that school. "However, I know it can be very disappointing for parents if their child is one of the few who don't get one of their preferences, and our local admissions teams will be happy to give information and advice." This year, 95% of applications were completed online. A total of 13,507 children have received primary school place offers this year. Parents will receive details about who to contact for advice and information on school admissions and appeals in the offer letter or email they receive. Appeals are heard locally and those for Lancashire primary schools will take place during the summer term.